NEW IMAGE PROMOTIONS: Interesting Fireworks! 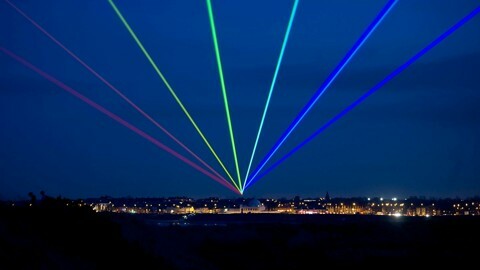 As reported on the Washington Post website, 'Laser replace fireworks in some July 4th celebrations' as seen above. 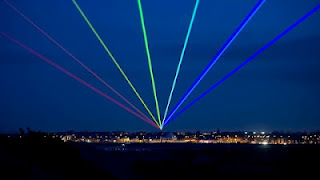 A CBS report states, "seeking to keep costs, and fire danger down, some U.S. municipalities are opting for laser shows to celebrate Independence Day instead of fireworks" now ain't that something?